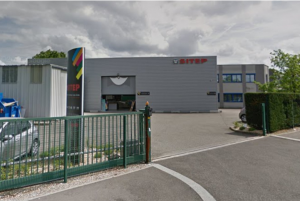 The large format digital printing company Leader Print has bought the Lyon printing works Sitep from its founder Philippe Duymedjian. Sitep, which employs 22 people, generates around 4 million euros in turnover and enables Leader Print to break the 10 million euro mark for turnover. Created in April 2017, Leader Print produces flags, posters, POS, signage and art photography across three sites, one in Montpelier, one in Paris and now Sitep in Lyon. It strengthens its geographical coverage with this new acquisition. “The Leader Print Group’s acquisition policy is geared towards either companies providing new techniques or those with a strong client base in a new region. France and neighbouring countries are in the targeted territories”, explains Simon Morin, manager at Pax Corporate Finance, the Group’s financial advisor. Sitep specialises in printing corporate communications and events media, decorating points of sale or vehicles, as well as art printing services. Emmanuel Denis, the president and majority shareholder of the Leader Print Group, will take over the operational management of the Lyon Group. Investments in the new production facility are planned and Leader Print is currently in discussions for further acquisitions in Europe.